Portable Boat Hoist Manufacturer Supplies Cheap Travel Lift Light Duty Travel Lift Small Boat Hoist With Low Price Reliable Quality! 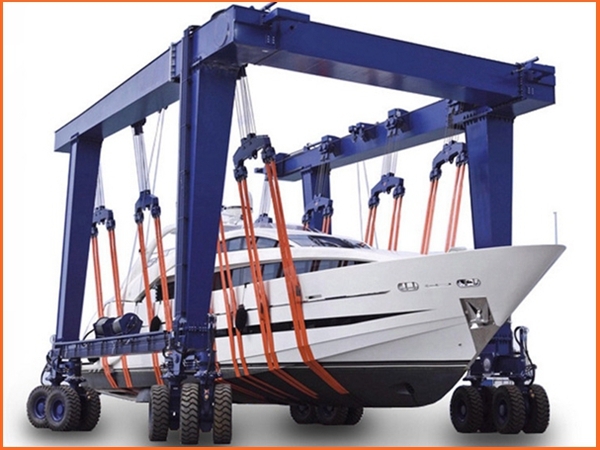 Portable boat hoist is a kind of light duty gantry crane. It has portable weight, simple structure and compact system! With these features, portable marine winch is convenient to use, fast to install and easy to maintain. Portable boat hoist is great choice for light work! It can help save much energy and make lifting work easier! 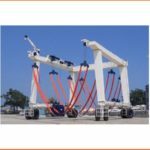 Ellsen Group, a professional marine travel lift supplier in China, provides types of marine boat hoists for sale! For occasions, it include water sport meetings, aquatic clubs, voyages, construction site and wharf. 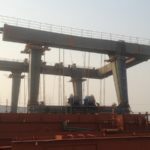 For lifting tons, it has 10 ton travel lift, 25 ton marine travel lift for sale, 60 ton boat hoist, 100 ton marine travel lift, 500 ton mobile boat lift gantry crane, 1000 ton vessel hoist for sale. 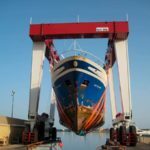 For different features, vessel travel hoist includes factory direct sales marine travel lift, ISO approval marine travel lift, remote control marine hoist, cabin control vessel hoist, amphibious travel lift! Ellsen provides customized service for customers! Choose Ellsen for the most suitable travel lift! Reliable performance, ideal price, top quality! 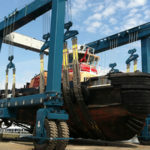 Buy Ellsen marine boat hoists now! 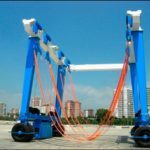 Portable travel lift is a small gantry crane, heavy duty travel lift is a large gantry crane. Customers can choose reasonable type according to specific conditions. 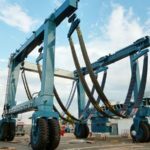 For lifting tons, portable marine boat hoist has lifting capacities as 30 ton, 50 ton, 100 ton; heavy duty vessel hoist can lift 200 ton, 500 ton, 800 ton, 1000 ton, 1200 ton. 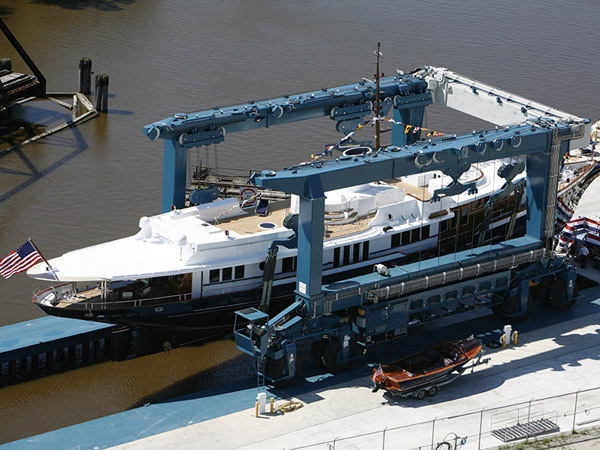 To lift light boat, just choose portable mobile travel lift, for heavy boat, choose large marine travel lift. For working efficiency, light travel lift has faster speed, it deals light and frequent lifting work very well. 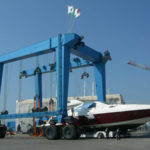 Heavy duty travel lift can lift vary large boat steady and move smoothly.